Seniors who have physical disabilities face different kinds of challenges beyond those generally associated with the aging process. Some disabilities are genetic in origin, meaning the person was born with a physical limitation. Others may result from an accident or illness that occurs later in life. Either way, these conditions make it difficult to live independently, especially as the person ages and begins to experience other challenges common to seniors. 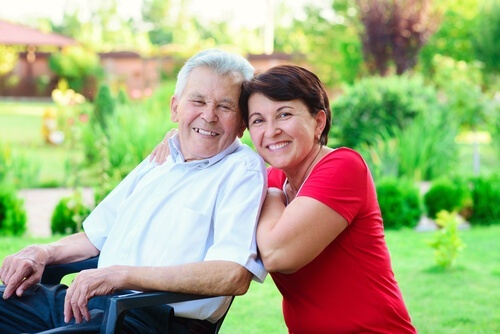 As a caregiver or family member, it can be very difficult to see someone you love facing physical limitations that affect their ability to live comfortably on their own. But the good news is that you have several options to support your loved one while also providing a safe, comfortable environment at home for them. One of the most important things you can do for seniors with disabilities is to promote a positive, enjoyable quality of life where they can maintain as much independence as possible. Cherished Companions helps you accomplish that goal in a number of ways. 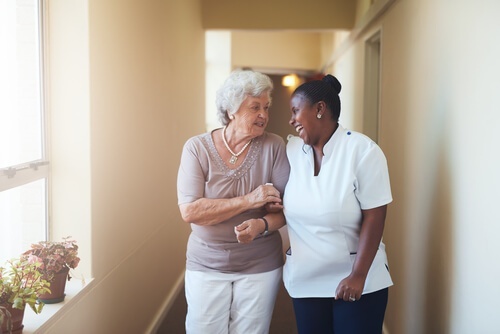 Perhaps the greatest benefit of working with Cherished Companions is that we prioritize compassion and professionalism for all of our caregivers. They not only provide high quality services, but they also treat your loved one like family. Depending on your family member’s needs, you can schedule caregivers for any number of hours throughout the day or night. From 4 hour shifts up to 24 hour live-in care, we help you create a customized plan to ensure that your loved one receives the assistance they need. Based on your care plan, you will receive regular, detailed updates from your family member’s caregivers relaying their observations or recommendations. Care Managers will communicate in the method you prefer, whether that’s by phone, email, or text. If you’re ready to give your senior loved one a better quality of life in the comfort of home, give us a call today!